Arachis Press is proud to announce the official release of ‘The Contrary Fairy,’ a magical story from author and illustrator Stephen Brooke. The sprite Marjoram is called a contrary fairy when she tries to keep her carefree friends from getting into trouble. Will they learn to listen to her? ‘Fairy’ follows the little folk on a day of adventures and lessons learned. A beginner’s chapter book, ‘The Contrary Fairy’ runs to about 4000 words, spread over 11 chapters and forty pages, with 18 black and white illustrations. 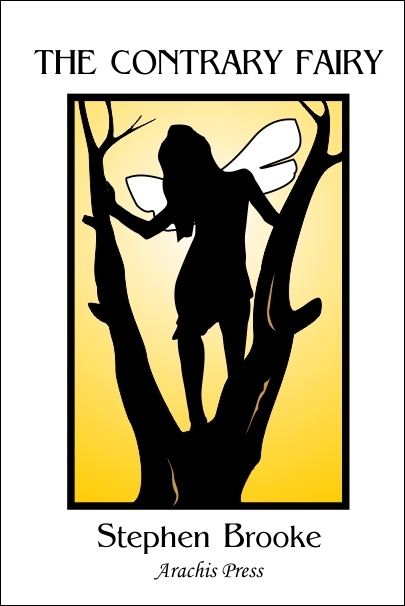 ‘Fairy’ is available, as are all Stephen’s titles, through The Arachis Press (http://arachispress.com) and our printer (http://www.lulu.com/spotlight/arachispress). Retail price for the paperback is 6.99; the PDF runs 1.99. We have eschewed an EPUB version for this book as it is not well suited to products for small children.